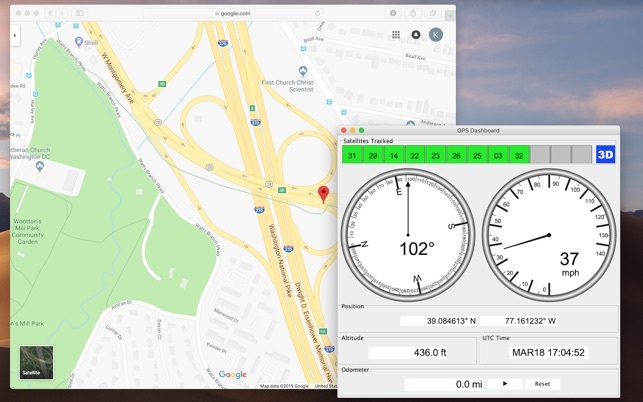 GPS Dashboard displays navigation information from a serially connected GPS on the Mac. 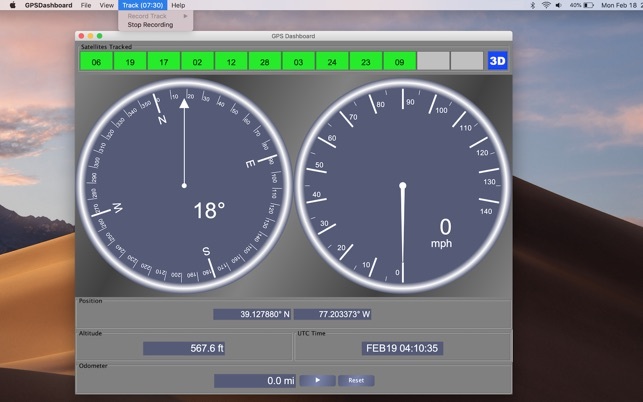 Gauges display track direction and speed, and digital readouts display latitude, longitude, altitude, max and average speeds, and time. 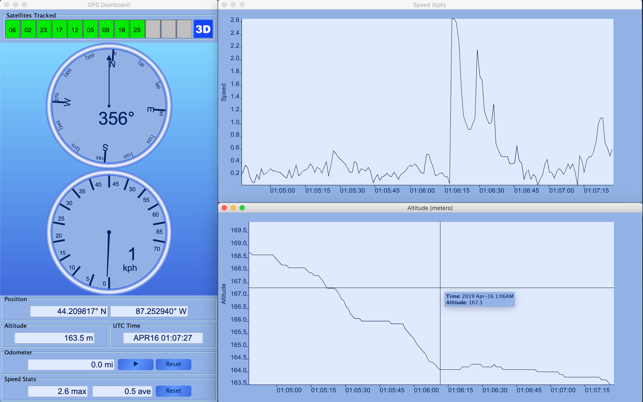 Graphs plot real-time speed and altitude. 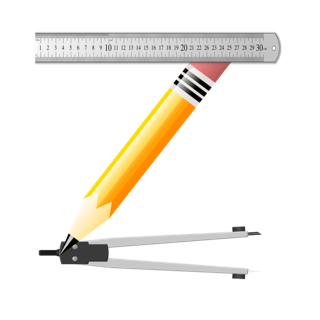 An odometer provides a display of distance travelled. 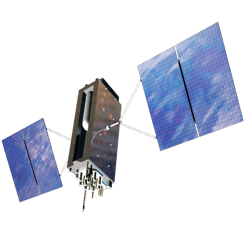 The dashboard also shows which satellites are being tracked, and if the GPS has a 3D fix. 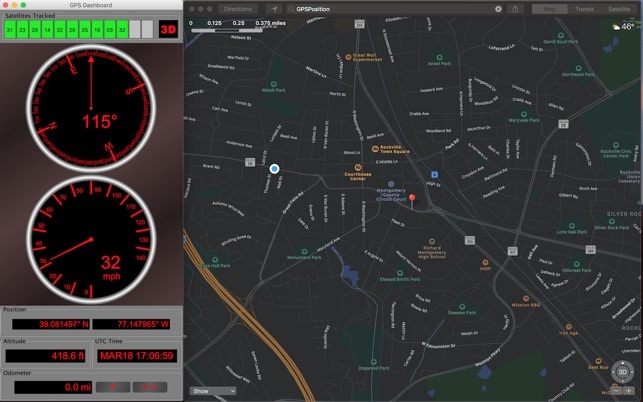 GPS Dashboard can synchronize with Apple Maps application providing periodic location updates, as well as show the current position on Google Maps. 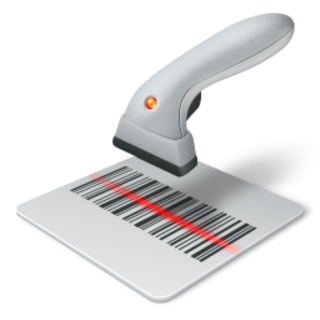 The Record Track feature can save GPS tracks and waypoints to a file (GPX or CSV). 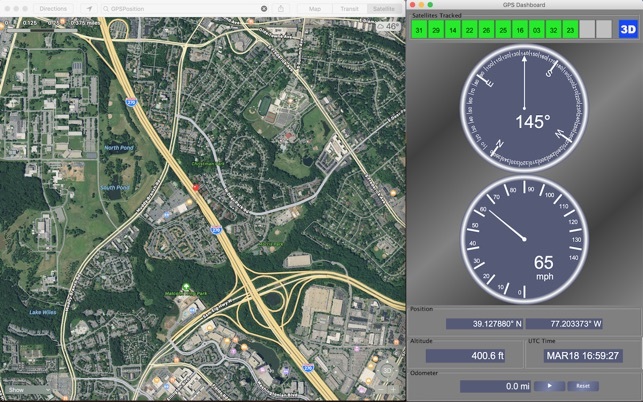 GPS Dashboard provides multiple display themes, and the user can customize the location, distance, altitude, and speed units.